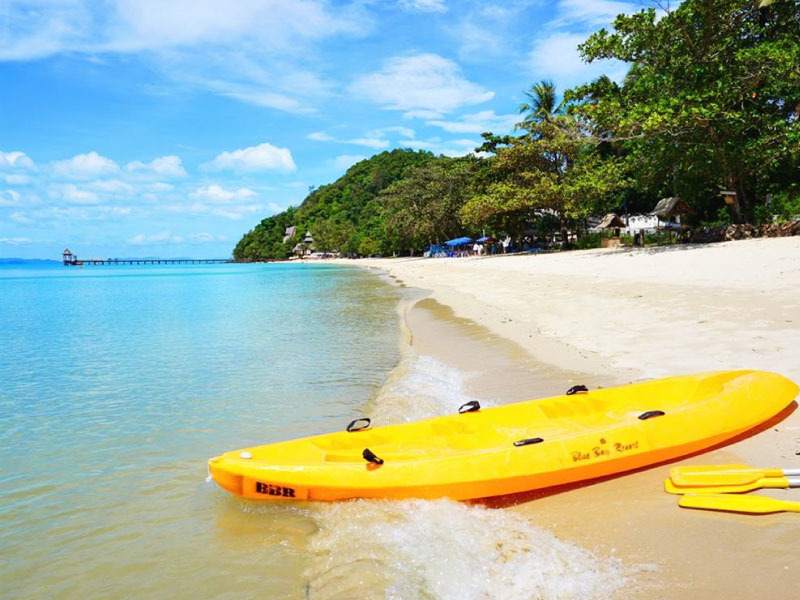 Unlike its busy sibling, Kata Noi Beach is a quiet, secluded beach with an amazing view and a relaxed vibe. Kata Noi is a rather small beach, but the sand here is one of the finest in the whole island. 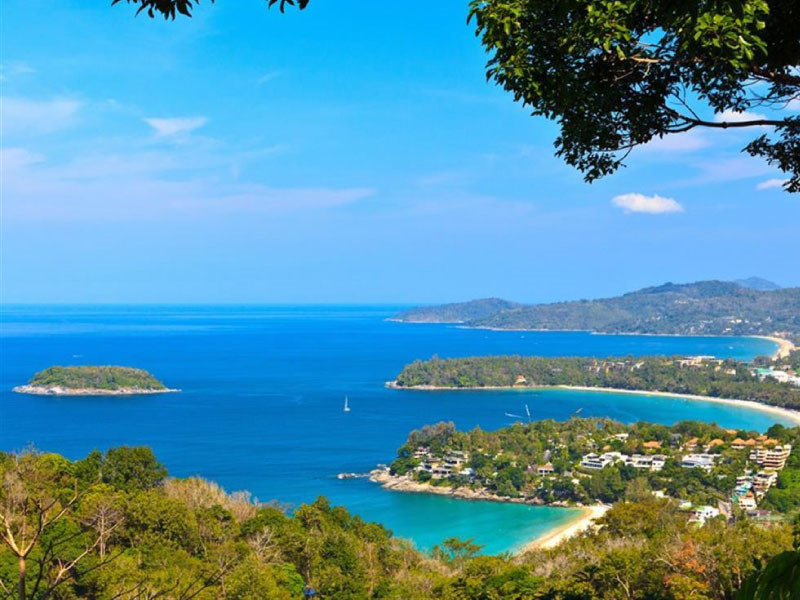 Once you’ve got your fair share of relaxing time on the beach, you can make your way up the hill to the Kata lookout where you can see the entire Kata and Karon bays. Kata Noi is perfect for spending a nice, slow afternoon at. Moving just a little further south of Kata Noi Beach and you’ll be in Karon Beach. You can also take a hike up to the famous Karon Viewpoint where you can see the entire bay area from. This is the perfect spot to watch the sunset, despite the fact that it can often be quite crowded. You can see the sun slowly descends the sea, and you will see the Karon Beach Town gradually come alive as the buildings get lit up one by one. 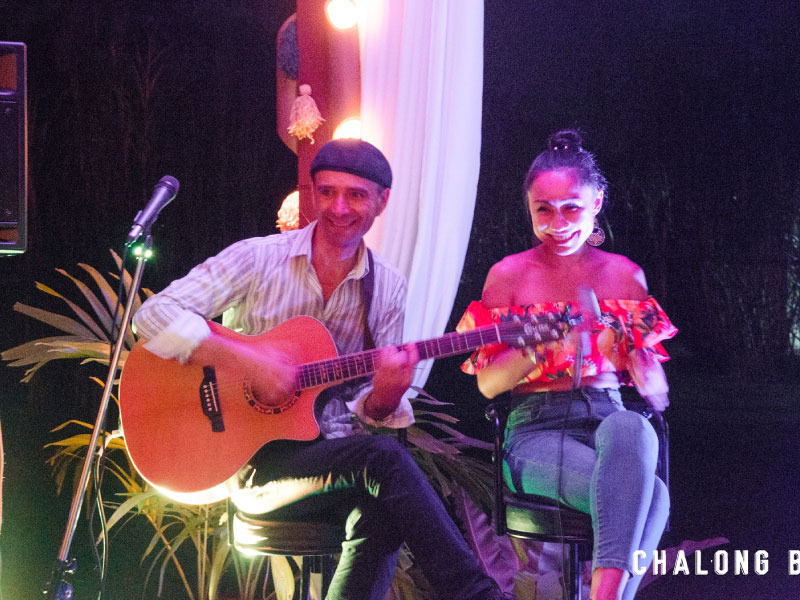 There isn’t any pirate in the Andaman sea, but if there were, they would be here in Phuket! 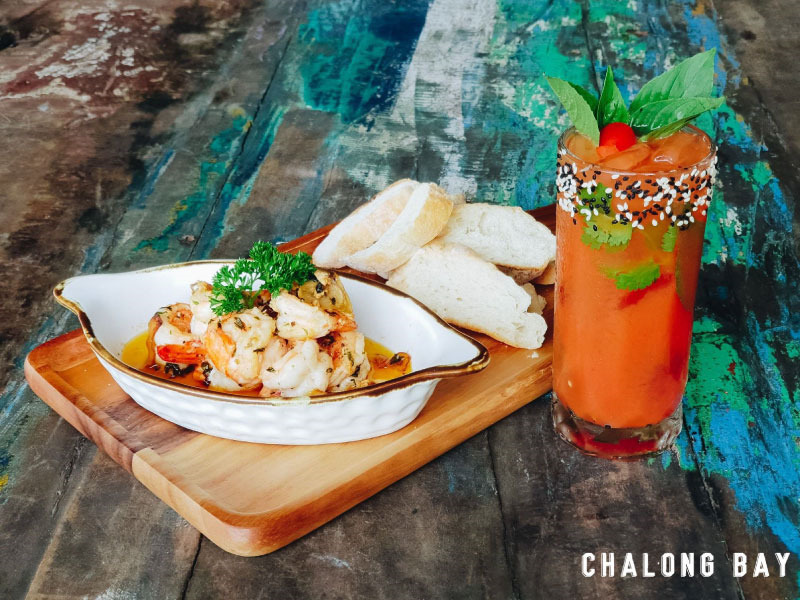 Chalong Bay Rum Distillery serves the best-quality rum Thailand has to offer, as they’ve won many awards from all over the world. You can take a tour around the distillery to learn about how rum is made, and you will get to taste some of their best rums at the end of it too! You can also drop by to the distillery’s bar and enjoy a few swigs like a true pirate, YAR! 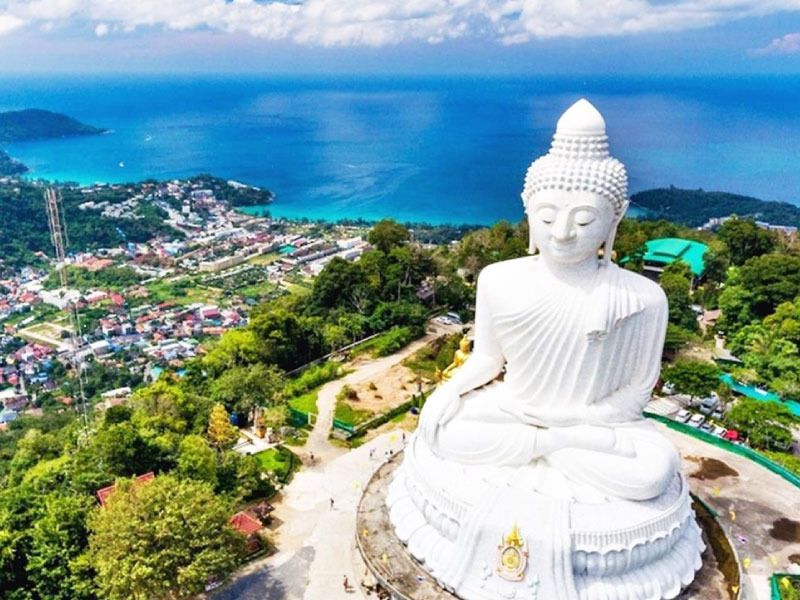 The aptly named “Big Buddha Temple” is one of the most well-known landmarks in Phuket, and possibly Thailand. The giant golden statue sits atop Nakkerd Hill, and with its incredible 45-meter-tall size, there’s no way you can miss it. At dusk, you can see the Buddha shimmer with a sparkle of yellow glow thanks to the natural orange light of the setting sun. This makes for a sight to behold, and we highly recommend it during this time. For those looking to seclude themselves from the busy Phuket life, Nai Harn Beach is the perfect place to do so. 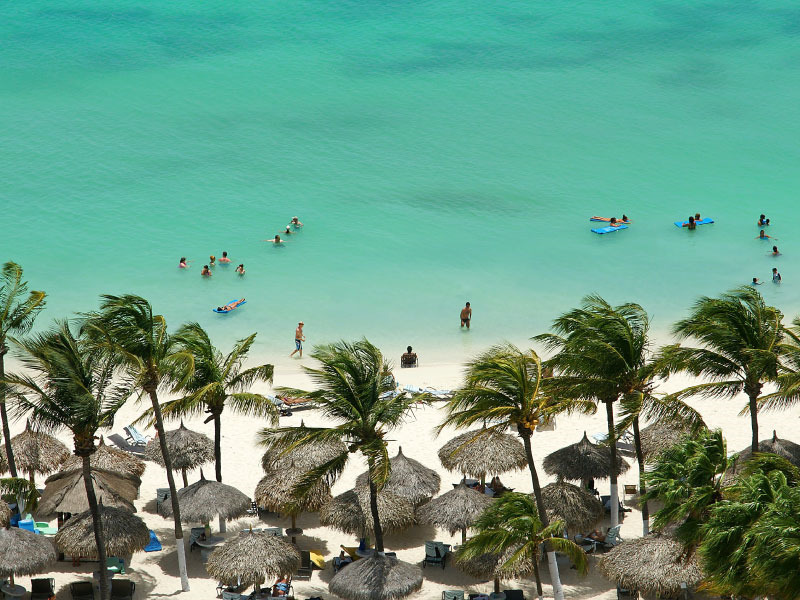 The beach is surrounded by lush green hills, and facing it is a clear, turquoise-blue sea. Although it’s a rather famous beach, it’s hardly ever too crowded, making it a perfect place for a getaway. Wat Chalong holds a special place in many local people’s hearts. It’s the most important temple in all of Phuket, as it was built during the reign of King Rama V over a century ago. The Grand Pagoda is the temple’s pride and joy, as it was built to resemble the royal temple in Bangkok. The main pagoda is said to house one of the bone pieces of Buddha, making it an incredibly sacred place for the Buddhist people. You will find many art pieces in the temple that depicts the life of Buddha ever since when he was a child, his enlightenment to his death. 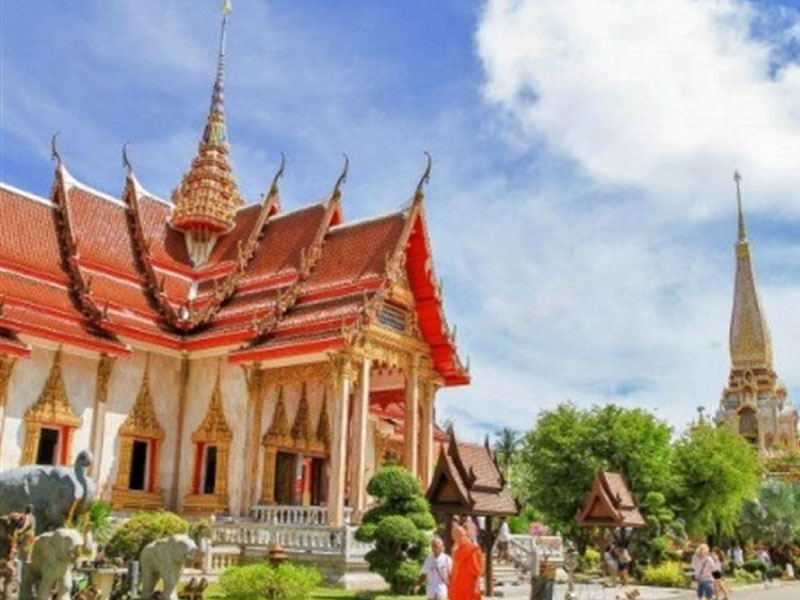 It’s a great place to come and learn about both the Thai culture and the Buddhist religion. 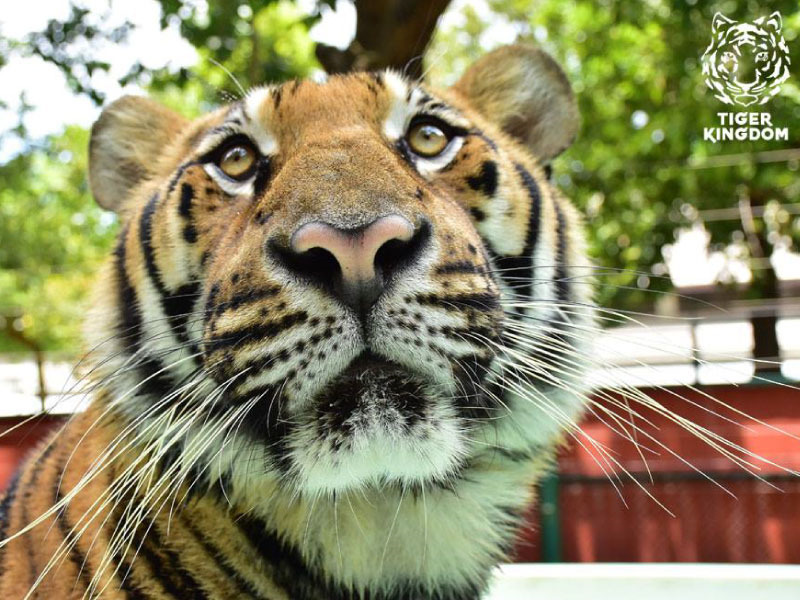 If you’re looking for something more adventurous, you might want to drop by to the Tiger Kingdom to see spectacular tiger shows. 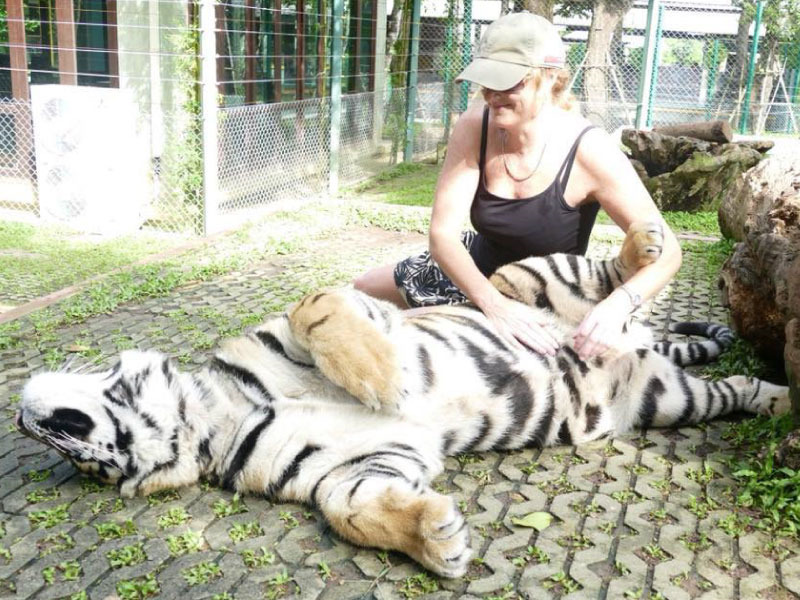 The Kingdom raises their own tigers in captivity and gives them the best life until their final moments. There are different shows that are performed throughout the entire day, but the highlight of the day is the feeding show at 7pm. This is a very popular show, so you best come early to avoid having to sit way back and miss all the action.